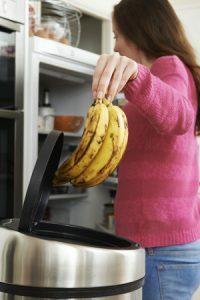 I understand that you spend plenty of money on your groceries, and when your refrigerator breaks, that can mean your hard-earned cash is slowly headed to the garbage. If you open your refrigerator door and notice everything inside is suspiciously warm, you can reach out to me from anywhere in the Aurora, Colorado area for refrigerator or other appliance repair services. Refrigerator repair does not have to interrupt your family’s daily activities in your home. When you make an appointment with me at South East Appliance Service, I make sure to arrive promptly and give your appliance a thorough review to determine what repairs it may need. I am able to offer appliance repair services on nearly any brand of refrigerator, and I can complete those repairs quickly so your food does not spoil. With more than 30 years of appliance repair experience, I am able to easily figure out what may be affecting your refrigerator and repair it right away. I also offer an exact quote for my repairs after assessing your appliance, and maintain an exact appointment schedule so that you can trust I’ll be there when I say I will. If you discover the refrigerator or any other appliance in your home in the Aurora, Colorado area is not working the way it should, feel free to give me a call at 303-690-5417. If you would like more information about the services we provide, please fill out the form below, and we will get back to you as soon as possible. © 2019 South East Appliance Service.